When you hear the term “devoted family” what comes to mind? Do you picture caring people, considerate of family members and “devoted” to God? Does your family reflect this image? The Old Testament teaches that the Creator of the wonder-filled universe purposefully designed marriage and the family. In Genesis (8:20) Noah led his family in worship, and Abraham (Genesis 18:19) taught his household the “way of the LORD.” Joshua (24:15) spoke of his family’s devotion to God’s service. Psalm 78:1-7 declares the importance and purpose of teaching children the praiseworthy deeds of the LORD. In New Testament times, Paul went “from house to house”(Acts 20:20) teaching and baptizing families. Even Jesus was raised in a family where he “grew in wisdom and stature (in mind and body) and in favor with God (spiritually) and man (in relationships).” (Luke 2:52). Reformer Martin Luther recognized the family as a vocation in which each member has its divinely ordained calling. The Lord designed the family unit to be a loving, need-fulfillment center. The healthy Christian home is the ideal haven to learn the indispensable traits of repentance, forgiveness, justice, grace, trust, intimacy, communication, evangelism (Gospel-sharing), and the establishment of individual and interdependent purposes. A faith-filled family strives to imitate the heavenly Father’s commitment to his adopted children. (I John 3:1). 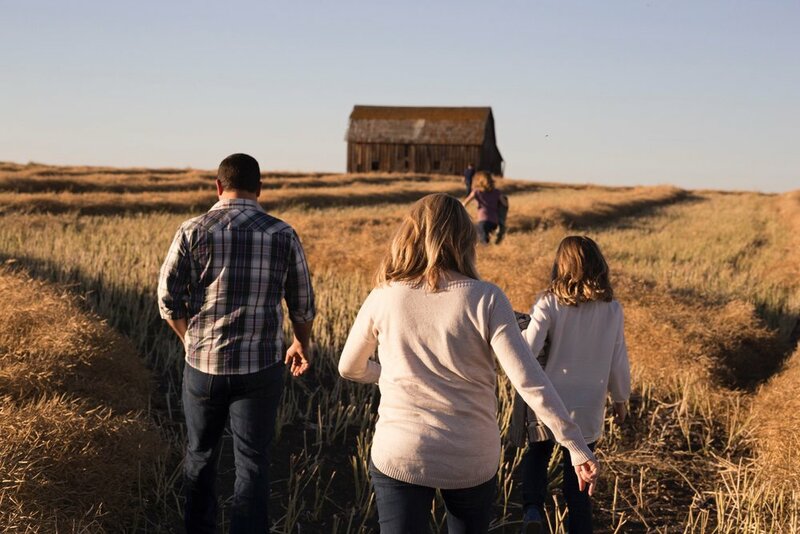 The interdependent functions of a Christian family serve as a model for the local congregation, and also the whole Church in the Body of Christ. The same Spirit-fruits (Galatians 5:22) are blessings to be pursued in each: the community of all believers, the local church and the primary family unit. Stable, spiritually-growing families will be better able to serve the church with their time, talent and treasures. Conversely, the local church will be better able to serve the families who are grounded in the Word and committed to Christ. Strong families are a source of comfort, guidance, identity (giving roles and function), affirmation, and interaction among its members. Children need love, empathy, respect, responsibility, and emotional access to their parents, as well as a growing sense of their priceless worth in Christ. A healthy life includes a balance of work and play, socializing and solitude, helping ourselves and assisting others. The family unit works as a learning lab that demonstrates the value of these habits. What traits does your home strive to teach? We are committed to spending time with one another. We talk and listen respectfully to individuals’ goals, fears and opinions. We try to eat at least one daily meal together. to our sense of oneness. We gently help each other to cope with individual or group problems. We affirm and appreciate each other’s gifts, efforts, and unique personality. The range of 25 - 39 reflects a slightly lower than average support system. Acknowledging this is step one in your family’s task of goal setting. A 40 - 59 score reflects a considerate, loving family with lots of blessings to build on. Pat yourself on the back if your score tops 60! You provide consistent nurture and balance by meeting group and individual needs in your home. Other families would benefit from your mentoring! Don’t let a low score discourage you. Instead, using the following passages, ask God to help you use the results for family discussion and goal-setting. Please let us know your family’s response to this Scripture study activity. Your application ideas and results may be just the spark needed to encourage other devoted families. Susan L Fink writing credits include the book, “How Christian Mothers Cope”. With degrees in Early Childhood, Education and Staff Ministry, she has been a teacher, volunteer coordinator, nursing home activity professional, Sunday School teacher and free-lance writer. 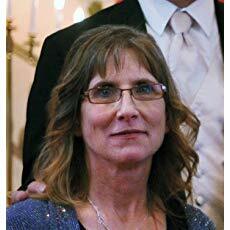 She has been married to Robert since 1978 and they have three married children. Sue lives in Manitowoc, Wisconsin. Read more of her writing on her personal blog and Facebook page. 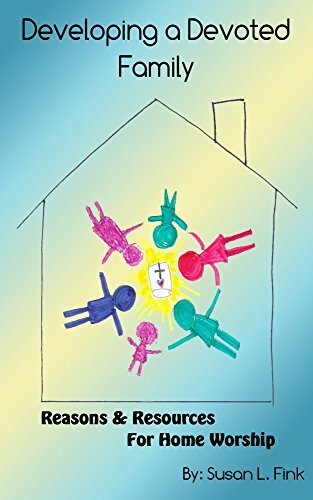 Holy Hen House believes this resource is such a great tool for your family that we are purchasing and giving away FOUR of these e-books (one for you and a friend!) on our Facebook page. Enter here! Today’s post is written by Holy Hen House sponsor Kari Seibel – a compassionate entrepreneur of Trades of Hope. Towards the end of April, the 24th through the 30th to be exact, I was repeating this verse to myself every day when I woke up. Sometimes I said it every hour or every 5 minutes. Be strong and courageous, and do the work. I had a lot of work in front of me to do. On top of normal mom “duties” like laundry, meal prep and kiddos, we were in the process of moving and getting the house ready to sell. Then my son broke his collarbone that week on Sunday. The movers were coming on Thursday and I was scheduled to fly to Haiti on Saturday with Trades of Hope. All in the same week. I won’t even mention the car troubles and other hiccups we had that week. Be strong and courageous, and do the work. The Lord God is with you. All I could do that week was put one foot in front of the other and do the next thing God put in front of me. I was in crisis management mode. Only by the grace of God did everyone survive that week with even a shred of sanity left. Be strong and courageous and do the work. I tell you this so you can imagine the mental state I was in when I left for Haiti at 5:40 in the morning on Saturday. Fragile. Emotional. Raw. Stressed out. Way over my head. Tired. Grumpy. And the list could go on and on. Have you ever been to a third world country? Until Haiti, I had never been out of the United States. So to say Haiti, which is the poorest country in the western hemisphere, is a whole different world is not an understatement. The roads are unfinished bedrock and gravel that has been rutted by rain running down the side of the mountain. The water is not safe to drink or even get it in your eyes. Many people do not have indoor plumbing…. so no toilets or showers. Chickens, goats, cows and pigs root though mounds of garbage. The ride from airport was interesting as there are no stop lights, stop signs or even lanes really. There is just one confusing mass of cars flowing in every direction. Do not be afraid or discouraged for the Lord God is with you. That first night we were able to have supper with Shelley Clay and her family (See more of Shelley’s journey here. Shelley runs one of the artisan groups that we partner with and their mission is to keep babies with their mamas. They are the “Un-orphanage”. To hear from someone, who is on the front lines working with people every day in the fight against poverty, that what you are doing by selling jewelry is making an impact and changing lives is a powerful thing. To know that every bracelet I sell helps a mama feed her kiddos and send them to school is very humbling. Especially, when you consider what my first thoughts were of Trades of Hope. Do the work. The Lord God is with you. In January, Shelley told us about Joanne, a woman who sat outside Shelley’s gate for three days in 90 degree heat with her one year old looking for a job. On the third day, Shelley felt compelled to offer her a job and by that afternoon her son was in the artisan daycare center while Joanne learned how to make cereal box beads. The next day there were twenty ladies sitting outside Shelley’s gate looking for a job, good word travels fast. There is a direct correlation between what we do here in the US and what Shelley is able to go in Haiti. When Trades of Hope sells items, Shelley can go out to her gate and hire another mama. I desperately wanted to meet Joanne because I tell her story at every home party and the thought of her and other mama’s in Haiti, desperate to feed their babies, fueled my passion to go to see our dignified partnership in person. Be strong and courageous and do the work. But I could not find Joanne when I walked around the artisan house. I finally found her after asking for help; I had walked past her a half dozen times and did not even recognize her! Shelley said on average our artisans gain about 30 pounds the first year of their employment because they are able to eat regularly. 30 pounds! It’s no wonder I didn’t recognize her. Families like Joanne’s are why I do Trades of Hope. Why I do home parties even though I would rather be home reading a book. Why I ask other woman if they would like to shop, host or join our mission. We are changing lives one bracelet, one party, and one woman at a time in Haiti and in 15 other countries. Be strong and courageous and do the work. The Lord God is with you. What is God calling you to do? The laundry? The dishes? To volunteer at church? To tell someone about his son, Jesus? Whatever God is calling you to do, maybe it is even Trades of Hope, be strong and courageous and do the work that God has put in front of you. "This fun tote is just what you need for a family outing or a day at the beach! It's the perfect carryall to fill with your favorite finds. Spun from long, strong vegetable fibers, these bags have a beautiful natural appearance and extreme durability. Bangladesh women are often neglected and shunned because they are widowed, divorced, or single. The widows are often cast out by their families who don't want to pay for them. In small villages of Bangladesh, these women frantically search for work in order to take care of their young children. Trades of Hope partners with these women to sell their handmade products! By creating these beautiful items, these women are now able to stay at home with their children while earning an income." 4. Earn extra entries per comment and friends tagged! *Giveaway runs from July 26th to August 1st and ends 11pm Central Time. Winner will be announced August 2nd! Lingering. This is the word. The one I've been searching for this Advent season. Since December began a common theme throughout all of our posts has been to slow down. To rest in the grace that we don't have to do anything extra this Christmas! Immanuel came to do everything. To save us. This is what Christmas is about. Let's linger in that grace. Lingering is the title of Christian Indie musician Karla Adolphe's new Christmas EP and her music creates a space to listen and ponder Immanuel, God with us. When I play Karla's music it is like she is sitting across from me with her guitar and telling stories from her heart. The story closest to her heart - Jesus. Her voice is strong, soulful, and intimate. Karla's original, All Your Glory, is a wonderful addition to the more familiar Christmas melodies such as We Three Kings, Do You Hear What I Hear, O Come O Come Emmanuel, and In The Bleak Mid Winter. You will be with me, right by my side. Those words sound like lyrics to any song but when you attach them to Jesus and Christmas this brings peace beyond understanding. We are not alone. We are not left alone in our sin. Immanuel came, God with us. Karla will be giving away one album download of her recent Christmas EP, Lingering, to FIVE of our readers! "Christmas is often the most wonderful time of the year, but as I learnt with Honeycomb Tombs, grief can cause even the treasury of Christmas to become challenging. I really wanted to create an album that would extend grace and warmth to those of you who may be grieving this season and honour your kindness to me as a listener. I hope you enjoy the songs I selected, some of these are my absolute favourite! The songs express themes of pilgrimage, longing, hope, revelation, visitation and prophecy. I hope in them you find rest; linger with me and thank you for joining me on this journey." To enter the giveaway, you must answer the question in the comments below. How do you linger in the meaning of Christmas this time of year? The 5 winners of Karla Adolphe's Lingering Christmas EP will be announced December 16th! I happened to come across Karla Adolphe’s music by chance on Pandora and had to find out who she was! I love when Pandora pleasantly surprises me like that. When I first heard her music I quickly highlighted, copied, and pasted “You Are Mine” in my search bar and ordered the album Enter the Worship Circle, Chair and Microphone, Vol. 3 immediately! The songs are based off of scripture and Karla does an incredible job of including personal poetry to make a unique work of sacred art. Enter the Worship Circle, Chair and Microphone, Volume 3 is one of my top five albums. Her album Honeycomb Tombs is for a more specific audience and mission: to bring comfort to those in grief. After the death of her friend’s daughter, Karla brought comfort to the grieving family with music. She has extended that gift to us on this inspired album. A true gift is given freely – click here to download the album for free. Did I just say free? Yes, but if you are ever so kind, you can pay $5 to help with her project. Did you know that the most of us hens at Holy Hen House are musical? Some of us play piano, violin, cello, viola, drums, organ, guitar, clarinet... and all of us can sing! Since we were children we have gone to church and learned the hymns and their harmonies. Now we teach them to our children. We do not sing hymns for tradition's sake but because along with their rich history they have rich words that direct us to Jesus and his forgiveness. Hymns strike a tender spot in my nostalgic heart as certain hymns bring back specific memories. Memories such as singing in Christmas Eve services as a child, around the guitar with my Dad and sister, in traveling choirs, or in China with foreigners who knew the words to Amazing Grace. I am grateful for the comfort hymns bring. Koiné, an indie-rock Christian band, uses traditional hymn melodies and arranges them to a modern sound. The band has also written quite a bit of their own hymns and songs. Koiné sets the gospel message to music by which the Holy Spirit can soften our icy hearts. And you know what? Koiné has decided to give away their newest album entitled Visit to one of you! Visit is Koiné 's fifth hymn collection (Vol. V). Based on the German idea that worship is a "Visit" with God, Koiné highlights a number of hymn writers that have "visited" with God through their creative work by singing the conversation of the Church. Koiné explores this musical space with 18 new tracks marveling at God's majesty when we desire to "Visit" Him in His house. To hear the hymns and songs of "Visit" hover over the picture below and click play on the media player. Click the next button to hear different tracks. To enter the giveaway, you must answer the question in the comments below. What is your favorite hymn and why is it meaningful to you? Use PunchTab to gain more entries! All entries must be submitted by midnight before Dec. 9th. Congratulations Kanda M! You are the winner of the Koiné CD! Remember when we shared that our friends Branches Band were having a Children's CD artwork contest for their upcoming children's album "Let the Children Come to Me"? Well, the album is complete and the contest winner, Isabel, was chosen! Congratulations Isabel! Watch the video below to see her reaction when her mom told her that her CD design won. So sweet! :D The other artwork on the CD's cover and insert were created by talented graphic designer Joshua Krohn. A few weeks ago my kids and I went to a Branches Band children's concert debuting the release of their album. We had such a great time and purchased a CD to listen to in our rocking van (no shame!). My 2.5 year old yells "Samson" as he flexes his muscles and my 5 year old enjoys singing along to "I Am the Vine". They both laugh hysterically when they imitate the giant fish spitting Jonah on the sand - Ptooie! The songs are fun, catchy, and my favorite part is that they fill my children with joy and wisdom in the Lord! Thank you Branches Band! You can preview the album by listening on iTunes . 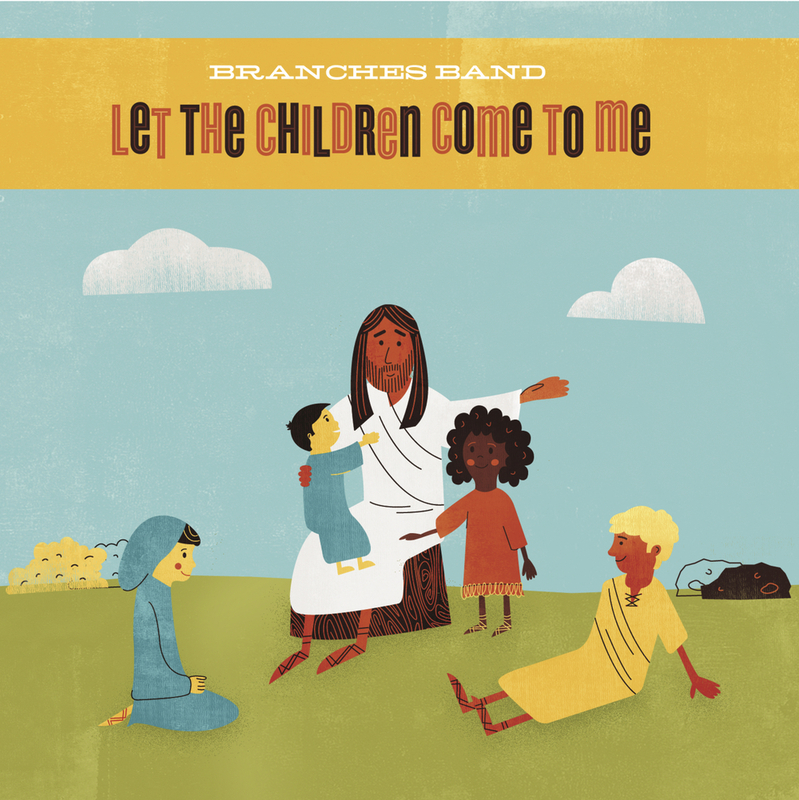 As we promised, now that the album is complete we get to gift ONE of you with the Branches Band children's album "Let the Children Come to Me"! Woot! And not only will you win the CD but included in the giveaway Branches Band is giving one of their egg shakers and one each of their 5 Branches Band guitar picks (an eco-pick, black and gold, blue celluloid and silver, red and black, and glow in the dark)! To enter, simply "like" both of our Facebook pages and comment below! What is your favorite Christian children's song that you remember from when you were a kid? If by chance you don't win and would like to buy "Let the Children Come to Me" CD you can find it on iTunes or at the Branches Band website here. Congratulations Margie B! I know you will enjoy the music with your family this summer!